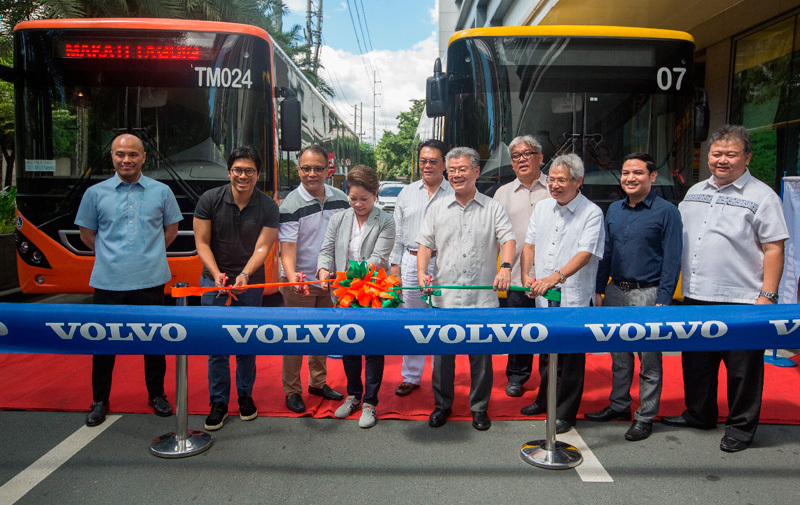 The Century City Estate Association, together with officials from RRCG Transport, one of the major P2P bus operators in Metro Manila, launched on Tuesday the new service route from Alabang Town Center in Muntinlupa City to Century City Mall in Makati. Leading the ribbon-cutting ceremony were Jose Marco Antonio, chief operating officer of Century Properties Group (2nd from left0; lawyer Aileen Lizada, board member of Land Transportation Franchising and Regulatory Board (4th from left); Rafael G. Yaptinchay, director at CPG (6th from left); and Roberto S. Torres, RRCG chairman (8th from left). Also present during the ceremony were (from left): Joel Yaptinchay, Century City Estate Chairman; Godofredo Custodio, Purchasing Head of Metro Express; Joseph Bryan Celestina, Century City general manager; Garrie David, P2P Alliance chairman; Dr. Reynaldo Torres, RRCG director; and Gerry Mina, Century City Estate president.